Brad Garlinghouse, CEO For decades, payroll professionals have been shackled with the manual task of making federal tax deposits and thereafter filing reports to various state and local agencies in accordance with payroll taxation and compliance. Filing reports is a painstaking responsibility as any incorrect filing, or employee misclassification can lead to fines, penalties, and potential lawsuits. In this scenario, payroll professionals are looking for the ability to automatically and electronically complete state and federal payroll reports from their software. This initiative is further backed by the federal government’s efforts toward mandating electronic filing of wage withholding, unemployment, and new hire reports for employers. Electronic tax administration has become the stepping stone of success for a modernized IRS that provides secure, convenient, timely, and accurate services to taxpayers, and also to the tax professionals and IRS employees who serve them. As a proponent of the eFiling norm, Aatrix Software assists in filing payroll tax reports through its patented technology that helps build and maintain any form as well as architect the process to fill in the forms automatically from host payroll software. The company has also designed a secure eFile method to facilitate the processing of over 350 reports and payments to over 170 taxing authorities in the U.S. “We have driven our payroll technology through automation, security, and nearly fool-proof error checking, turning one of the most time-consuming, and complicated tasks, simple,” says Bruce Senti, Marketing Manager of Aatrix Software. "Aatrix leads the market with nearly every significant feature of its solution, and our survey response confirms a 98 percent acceptance rate with clients’ payroll solution"
Commencing with the development of Macintosh accounting and payroll applications in 1986, Aatrix’s journey to payroll reporting is an interesting one. 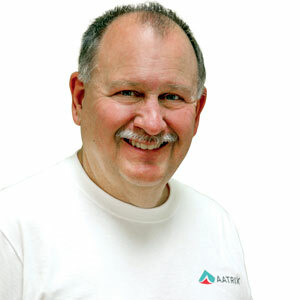 It was in the 90’s when Steve Lunseth, the president and CEO of Aatrix saw huge costs coming from generating new reports each time a new change was introduced to a federal or state form. He set out on a mission to revolutionize the scenario internally with his team by developing tools that allowed forms to be updated simply by the non-programmers, saving the company huge development costs. It became a short leap to understand that other payroll professionals were facing the same issue, not to mention the millions of small businesses struggling to generate reports manually. Soon Aatrix launched their solution commercially to vanquish problems associated with payroll reporting for other businesses. Fast forward to today, the company is one of the nation’s premier payroll reporting specialists facilitating unemployment wage withholding, new hire report, and payment streamlining tax reporting process with Sage 100 Federal and State eFiling and Reporting. Aatrix enables organizations using Sage 100 systems to leverage a standard process for filing reports, for both the organization itself and the agency it is being filed to. With Sage 100 ERP Federal and State eFiling and Reporting, clients can eliminate manual form creation and save time by choosing various forms. Most of the information on the electronic forms is already filled out by the Sage 100 system. Clients can view and edit the information easily, and once the data is verified, the form is ready to be printed or e-filed. Alternatively, Aatrix also provides automated payroll form filling with its comprehensive state reporting tool, Aatrix State & Fed Payroll Reports, offering instant and seamless integration to tax forms and new hire reports for each state. The tool allows customers to automatically complete over 330 state and federal unemployment, withholding, and new hire reports from the payroll data within their payroll software. Once the reports are automatically completed, reviewed, and edited on screen, they are printed on plain paper, ready to be mailed or are eFiled in minutes to the Aatrix eFile Center for processing. The e-filing process can then be continued with Aatrix’s Single-Point eFile Center that eliminates the need to track forms, formats, regulations, or any of the myriad issues faced by payroll administrators. “Aatrix provides the most comprehensive automated payroll reporting solution in the U.S. making the process simple, accurate, and affordable,” says Senti. The eFile Center provides a simple UI and workflow for eFiling—select the report to be filed, view a replica of the form that has been automatically filled in, and click eFile to complete the filing. Aatrix’s solutions not only seamlessly integrate into host software but also help clients in filing a typical 941 report in less than five minutes. The company currently supports unemployment wage-withholding, new hire, W2, 1099s, 1095 (ACA), HR forms, T4, ROE, T5018, and certified payroll reports and payments for the U.S. and Canada. “Aatrix leads the market with nearly every significant feature of its solution, and our survey response confirms a 98 percent acceptance rate with clients’ payroll solution,” says Senti. With a strong foothold in the market, Aatrix has partnered with some of the largest and most popular payroll solutions such as Sage and worked diligently with them to meet their customers’ needs. Aatrix’s success is also driven by the determination to gauge their performance by conducting an annual survey and getting inputs from its users throughout the year. In addition, the company also attends industry, vendor and end-user conferences to gain insights from technical experts, market analysts, and customers to improve their offerings, features, and service for their customers. Having owned and operated numerous businesses, Steve Lunseth is a seasoned entrepreneur who continues to introduce new ideas and opportunities. As an avid hunter and fisherman, he is always working toward finding better baits, tactics, and lures, which translates into his leadership at Aatrix when it comes to tackling technical challenges and changing market trends. Evidently, Lunseth has grown Aatrix from an Apple development startup focused on financial management software to the largest Mac payroll solution company with an authorized payroll solution for QuickBooks. With well over 335,000 customers in the U.S., the company culminates in the country’s leading payroll reporting solution with its single-point eFile center. In his determined efforts to bring the company to the fore, he is backed by a team of dedicated professionals. “Aatrix is a true teamwork-centric organization where ideas are encouraged and adopted routinely. It is this spirit that drives the innovation that Aatrix delivers to the marketplace continuously,” says Senti. With the complexities in reporting business activities to state, fed, and local taxing authorities increasing by the day and new business needs like ACA and other government requirements surfacing, there is a continued need for innovation. “Aatrix is not afraid to take on large, difficult problems to find an opportunity to deliver time-saving and affordable solutions to businesses,” says Senti. Catering to the explosion of cloud-based payroll solutions that have the same needs for automated payroll tax reporting as onsite payroll solutions, Aatrix has recently released its cloud solution and continues to expand its Electronic Forms Division, adding Human Resource, Sales Tax, and other forms needed by the accounting community. Aatrix’s patent-pending FormViewer and electronic forms development capacity will allow deployment of many additional electronic reporting forms with eFile ability. Available at half the cost of similar solutions, Aatrix is also rolling out 1500 Electronic Payroll Reporting Forms which can be accessed online from any device. They are also building an interface for back-end Payroll Report/Payment eFile Center for Payroll Services to use, which can adequately format and transmit report/payment processing data to the respective government agency by Aatrix’s highly automated processing center. With a constantly evolving work culture and the urge to stay ahead of the curve, Aatrix is always looking for new opportunities for innovation, fostering eFiling of payroll reports.